Synopsis: One Happily-Ever-After Rocking Chair ... and no sign of any forthcoming babies to rock in ol' Georgebury, Vermont. For Callie Grey, turning thirty means coming to grips with the fact that her boss (and five-week fling) is way overdue in his marriage proposal. And way off track because Mark has suddenly announced his engagement to the company's new Miss Perfect. If that isn't bad enough, her mom decides to throw her a three-oh birthday bash in the family funeral home. Bad goes to worse when she stirs up a crazy relationship with the town's not so warm and fuzzy veterinarian, Ian McFarland, in order to flag Mark's attention. So Ian is more comfortable with animals... So he's formal, orderly and just a bit tense. The ever-friendly, fun-loving and spontaneous Callie decides it's time for Ian to get a personality makeover. But dang, if he doesn't shock the heck out of her, she might actually fall for Vermont's unlikeliest eligible bachelor. My review: I have to say I am not sure where I got this book from but when a friend asked if I wanted to read it with her I said sure. When I first picked up the book I really could not get into so I put it back down. Then I picked it up again and got interested in it. I liked Callie and her relationship with her grandfather Noah. Their taunting each other back and forth had me smiling. Callie's family were all quite the trip. Now her boss Mark had me getting upset with him the way he was acting towards her, nor did I care for her co-worker Fleur - she was too fake for me. I liked Ian from the get go even though he was a little grumpy at times. The way his and Callie's story flowed was enjoyable to read. One thing that drove me crazy was the little snipits like Michelle Obama and Betty Boop were talking to Callie - I don't know why but this bugged me. This book did have me smiling at times, a little sad at times and waiting to see what happened next at times. One last note I loved the story around the rocking chair. 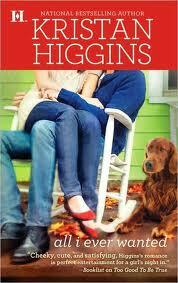 All in all the book was a good book and if you are a fan of romance novels you will enjoy this book. I received this book in exchange for a fair and honest review from Litfuse. Synopsis: Caught between the war raging around them and the battles within, two souls long for peace—and a love that remains true. My Review: As with the first book in this series I found myself sucked into to the story. I usually don't read books from this time period but since I loved the first book, I thought I would give this a go as well and was not disappointed. One thing I liked was the that it took place in Italy and the medical background of the characters. It had to be hard to be so far from home in such a difficult situation. I think the author did a good job of developing the characters and setting the scene and tone of this book. There was plenty of excitement in this book to keep you turning the pages and staying up late into the night. I recommend this book to all. One more note is that I could imagine this story happening in real life during that time period. 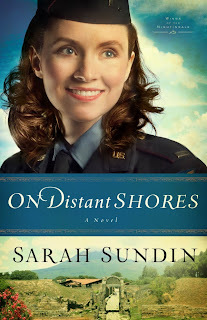 To view the entire blog tour check out The Litfuse Website for On Distant Shores. See below for a giveaway party as well. Drink of Choice While Reading - I used to say coke but since I do not drink that anymore I will have to say ice tea. E-reader or Physical Book - Me personally I prefer my physical books still even though I have a kindle I don't use it. Very Excited For This Release More Than All The Others - Written in My Own Heart's Blood by Diana Gabaldon - as it has been forever since the last Outlander book. What are your answers? I would love to hear some of them. 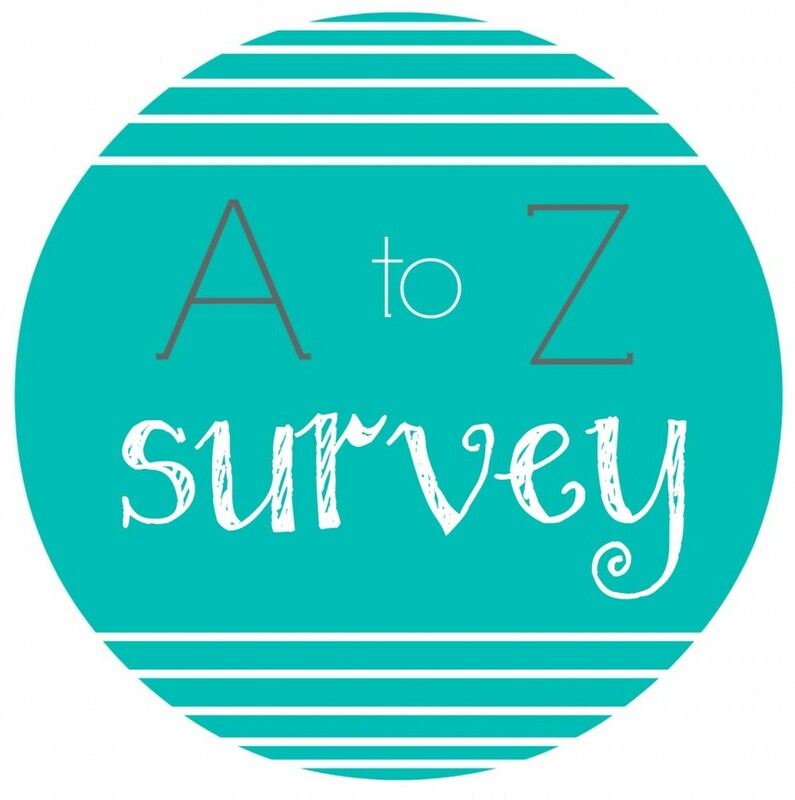 If you want to do the survey and leave me a link I would love to stop by your blog and read your comments. Synopsis: The aptly named Crystal Haven is the destination for tourists seeking psychics, seances, and the promise of contacting the spirit world. In this small western Michigan town, everyone knows the Fortune family. Rose is gifted with tarot card readings. Her sister, Vi, is a self-proclaimed pet psychic. And Rose's daughter Clyde is a cop. A cop on leave from Ann Arbor, more specifically, who's come home to kooky Crystal Have to reevaluate her life. Mom and Aunt Vi can't wait for Clyde to finally embrace her own psychic gifts and join the family business. Clyde would prefer the low-stress lifestyle of a dog walker and the low-key company of her nephew, Seth. But when a local psychic is killed, leaving behind a traumatized Shih Tzu, it sees to be in the cards for Clyde to get involved. With her old flame Mac leading the investigation, that may prove awkward. Whether she uses her skills as a cop or her long-denied psychic abilities, it's up to Clyde to divine a killer's identity before someone else suffers more misfortune. My review: This was a fun new cozy mystery to read. Like most cozies I read I enjoyed it. I thought it was cute that Aunt Vi tried to talk to the animals, but Seth actually could communicate with dogs. I am not a big fan of stories with psychics but in this book it works for me and it was fun to read about it. I thought is was fun watching Clyde get used to her psychic abilities and to try and solve the murder along the way. I can imagine going to this little town and meeting Clyde and her quirky family. All in all a very good read. Click here to see the rest of the stops on the blog tour. 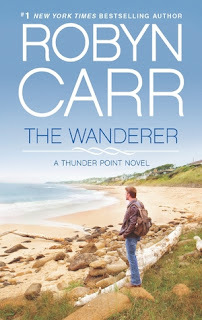 Synopsis: From Robyn Carr, #1 New York Times bestselling author of the popular Virgin River novels, comes Thunder Point-the highly anticipated new series that will make you laugh, make you sigh, and make you fall in love with a small town filled with people you'll never forget. Nestled on the Oregon coast is a small town of rocky beaches and rugged charm. Locals love the land's unspoiled beauty. Developers see it as a potential gold mine. When newcomer Hank Cooper learns he's been left an old friend's entire beachfront property, he finds himself with a community's destiny in his hands. A friend of mine had a great idea that a few us do a blog tour to help spread the word about the great writing that Robyn Carr does. I am behind in my reading so I have not got to read my copy yet but will be very soon (I have one book in front of it) so please check back in a week or so for my review. So for now I am doing this little spotlight on the book. I also received a signed copy of this book from Robyn and I had already purchased a copy for myself so I am going to share with everyone. I have a brand new copy that I am going to giveaway. So be sure to check out the giveaway below which ends on August 11th. I am confident that this book will be just as great as both the Grace Valley and Virgin River series and will fall in love with a new set of friends. 1. I am a fan of your Grace Valley and Virgin River Series and from what I have seen of the Thunder Point series this is going to be another community that you fall right in love with and would love to move to. Where do you get your inspiration for these towns? I have always loved to write with ensemble casts -- maybe I don't have the attention span for just one hero and one heroine for a whole book. And since my very first book, a historical romance published in 1980, I've has a tendency to fall in love with supporting characters and give them as complete a story as the main characters. I'm always asking myself questions like, "Who is significant in his life?" and "What happened in her past to make her feel/act this way and with whom did it happen?" and "Who are their friends, family, neighbors and co-workers and how are they shaped by those people?" and "What are they up against?" Just like our lives, we have a lot of people and events happening at the same time. We just don't live in a tidy, vacuum packed little world that consists of two or four people. Whether the community is a town or a cul-de-sac or an office building, it consists of a setting that holds a group of people and everyone in that group has weight, has issues. I ask myself about each one of them. Then the really fun part is bringing it all together at the end! Not surprisingly, my favorite chick flick of all time is Love Actually -- there are 10 plots that have to converge and everyone is connected to someone else or to several people. 2. One question a lot of people are asking is how long is the Thunder Point series, I know you have three planned. Will there be more than three in the future? Also do you think they may at some point interact with the Virgin River or Grace Valley folks. 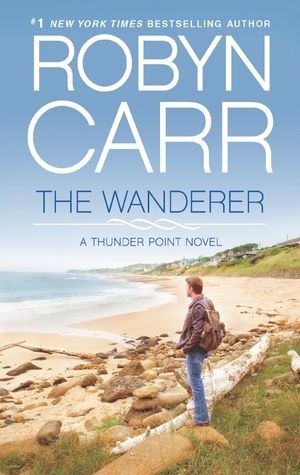 I'm at work on three more Thunder Point novels for 2014, so it will be at least six. Most of the time the answer to that particular question is 'how is it working for the readers?' Thus far, the response is phenomenal - which bodes well for even more books. But I can only think a year at a time, otherwise the canvas just gets too big. 3. Do you have anymore series like Thunder Point, Grace Valley and Virgin River planned for the future? Not at the moment, but that could come. Right now I'm thinking about Thunder Point and working on developing that town and its people. 4. 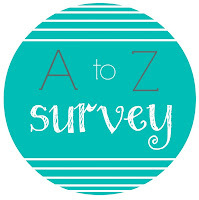 Last question - what types of books do you like to read? 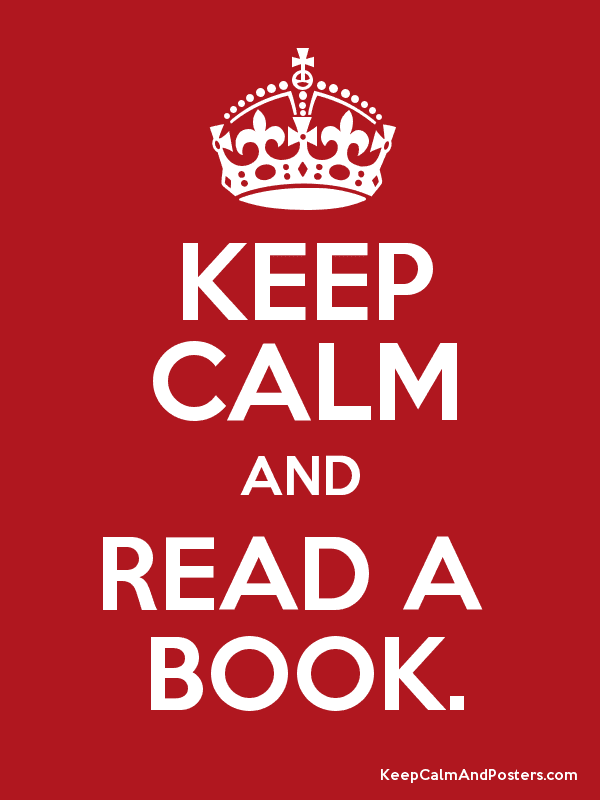 What are a couple of books you would like to recommend to your readers? 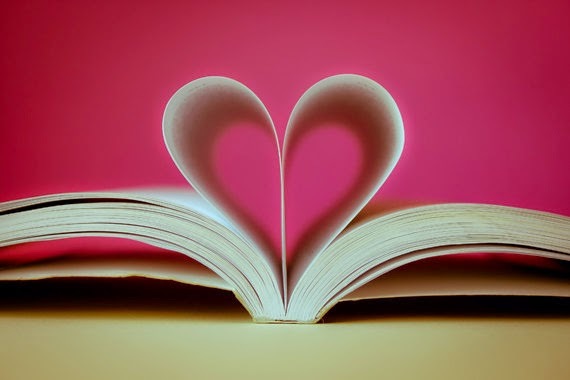 My favorite reading is contemporary romance and women's fiction. 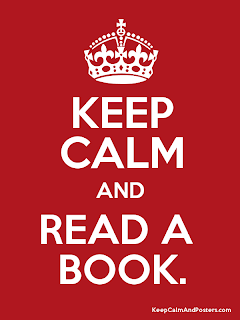 I read some historical and paranormal, but not too much. I like Kristan Higgins, Jill Shalvis, Marie Bostwick, Jo-Ann Mapson, Susan Andersen, Susan Mallery to name a few. I like books that leave me feeling uplifted and happy that I was able to spend time with the characters. I love happy endings. I also read my share of mainstream fiction, which doesn't always have happy endings but can still be so satisfying, like The Shell Seekers and The Prince of Tides. Synopsis: Abducted by Mohawk Indians at fourteen and renamed Burning Sky, Willa Obenchain is driven to return to her family’s New York frontier homestead after many years building a life with the People. At the boundary of her father’s property, Willa discovers a wounded Scotsman lying in her path. Feeling obliged to nurse his injuries, the two quickly find much has changed during her twelve-year absence—her childhood home is in disrepair, her missing parents are rumored to be Tories, and the young Richard Waring she once admired is now grown into a man twisted by the horrors of war and claiming ownership of the Obenchain land. 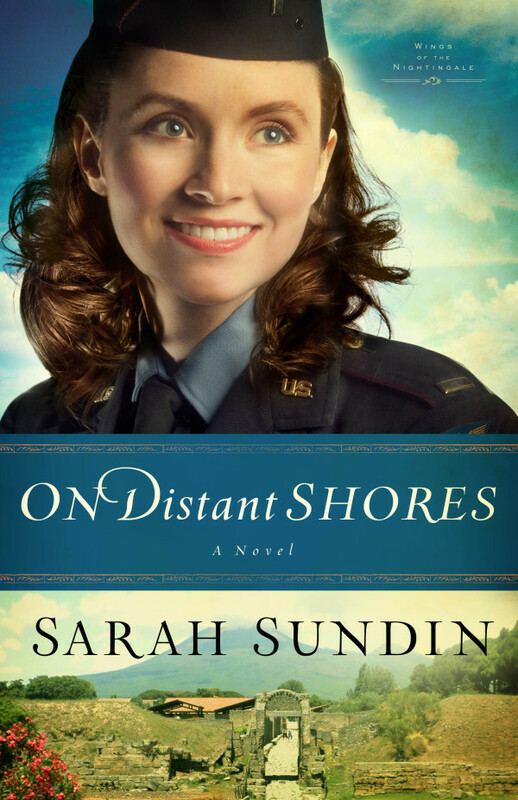 My Review: Being a fan of historical fiction I was drawn to this book from the get go. I love books that are set in this time period and having the Native American aspects is a bonus for me. This is the first book I have read by this author and I am looking forward to future books by her. I think she did a great job on the development of the characters and in describing the scenes. I can't imagine the things that Willa had to go through. First she was abducted and raised by Indian, then she goes to her childhood home and now feels torn between two different worlds. How would you choose? Another thing I give the author credit for is not painting frontier live as overly glamourous, but rather like the harsh place that it truly was. I like the suspense with a little romance added in, the best of both worlds. A great book for me. Meet Lori: Lori Benton spent her late teens and early twenties pursuing a career as a wildlife artist, attending the Maryland College of Art & Design before she began painting professionally. When not writing or researching, Lori can be found exploring the mountains of southern Oregon with her husband, Brian. Burning Sky is her first novel. 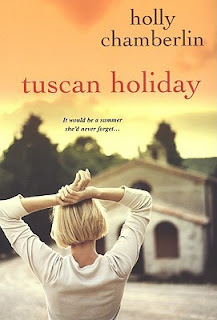 Synopsis: Marina Caldwell is thrilled to receive a two-week trip to Tuscany as a college graduation gift. That is, until she realizes her mother wants to go with her. The gulf between idealistic single parent Elizabeth and cautious, controlled Marina seems too wide to bridge, even with the aid of chilled Prosecco and mouthwatering panforte. My review: I am going to start by saying that this book was nothing that I thought it was going to be. I thought it was going to be a light chick lit book but it was not. It was deeper than that. One thing that I did not like was the little blurbs at the beginning of each chapter. I kind of understand why they needed to be there but I did not care for them I thought they were mean. Ok enough about that. Now the good part, I liked the idea of the mother-daughter trip to Italy. At first I was not sure that I cared for Marina but as the book went along I started to like her and I began to understand her more. From the first time Jotham came into the story I knew there was something up with him and I did not like him. Elizabeth is someone I felt sorry for - her she is a woman who had a daughter on her own, has an over-bearing mother, and a daughter who forgets about her,, the one good thing is her boyfriend. When they get to Italy Elizabeth is having fun touring all the historical sites while Marina was just passing time until it was time to go home. Little does Marina know that things are about to change for her. I can't say what happens to Marina - it is nothing bad - as I don't want to ruin the story. When this change comes for Marina she does not expect it to totally change her life forever. Marina's trip to Italy ends up being a real eye opener for her and in the end brings her closer to her mom. I am hoping there is a sequel to this book as it left me hanging at the end wanting more of the story. All in all I am glad I read this book. Synopsis: Drew Farthering loves a good mystery, although he generally expects to find it in the pages of a novel, not on the grounds of his country estate. When a weekend party at Farthering Place is ruined by murder and the police seem flummoxed, Drew decides to look into the crime himself. With the help of his best friend, Nick Dennison, an avid mystery reader, and Madeline Parker, a beautiful and whip-smart American debutante staying as a guest, the three try to solve the mystery as a lark, using the methods from their favorite novels. 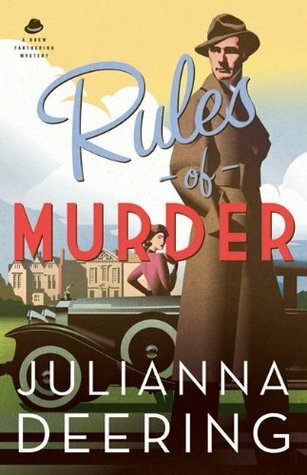 My review: Do you like a good mystery set in the English Countryside? Are you a fan of Downton Abbey? Well if you do then I suggest you head out and pick this book up as you will fall in love with it. This is the first book in the new Drew Farthing mystery series. I for one am looking forward to more in this series. Drew comes home for a weekend party and stumbles upon a murder. With the help of his friend Nick and an American named Madeline they set out to solve this murder by using the things Drew has read about in his beloved mystery books. There are many twists and turns in this book before the crime actually gets solved and that is one thing that I think makes a good mystery. In this book you will never know who the next suspect or victim might be. This was a new author to me and I am glad I took the chance on reading it. Synopsis: Rose Schrock is a plain woman with a simple plan. Determined to find a way to support her family and pay off her late husband's debts, she sets to work to convert the basement of her Amish farmhouse into an inn. While her family, especially her cranky mother-in-law, is unhappy with Rose's big idea, her friend and neighbor, Galen King, supports the decision and he helps with the conversion. As Rose finalizes preparations for visitors, she prays. She asks God to bless each guest who stays at the Inn at Eagle Hill. As the first guest arrives and settles in, Rose is surprised to discover that her entire family is the one who receives the blessings, in the most unexpected ways. And she's even more surprised when that guest decides to play matchmaker for Galen King. My Review: Suzanne has another hit with this first book in a new series. Rose is a strong woman living with her grumpy mother in law who is laid up in bed and raising not only her children but the children from her deceased husband's first marriage. Rose has to find a way to now make a living. 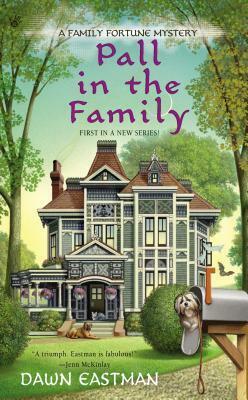 She decides that she is going to turn part of her home into an inn and does so with the help of her neighbor Galen. This book is about healing as you will soon discover as you read it. The first people to stay at the inn not only help themselves but end up helping Rose as well without knowing it. I also enjoyed how Rose and Galen's relationship grew in this book. 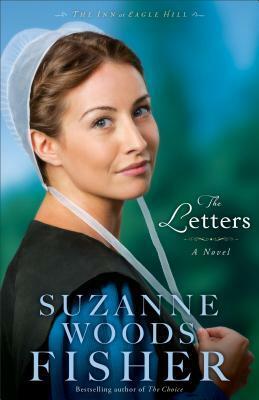 If you like Amish fiction then you will enjoy this book.